I am a big fan of black and white combinations! I cannot overstate enough how classic, polished and chic a simple monochrome outfit can be – especially when there’s a collar involved! These are my latest purchases which will become staple additions to my wardrobe! 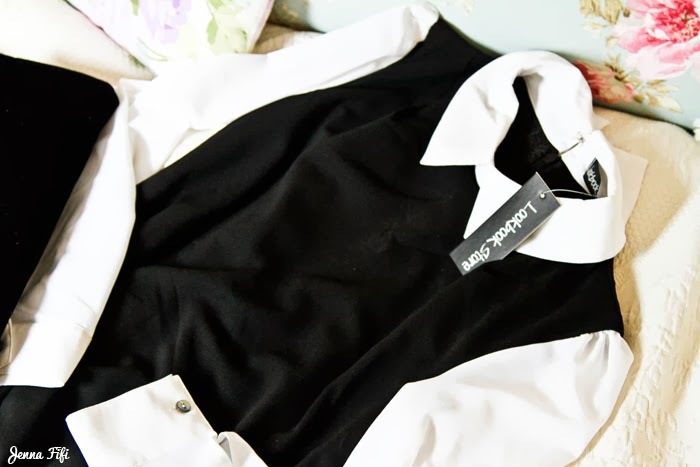 I have far to many black and white peter pan collar dresses, but they are the easiest thing to throw on and still look chic and classic. Despite the price the quality of this dress isn’t bad and the length is just right. At 5ft2 I’ve often had to take up hemlines, but this falls just above the knees on me. 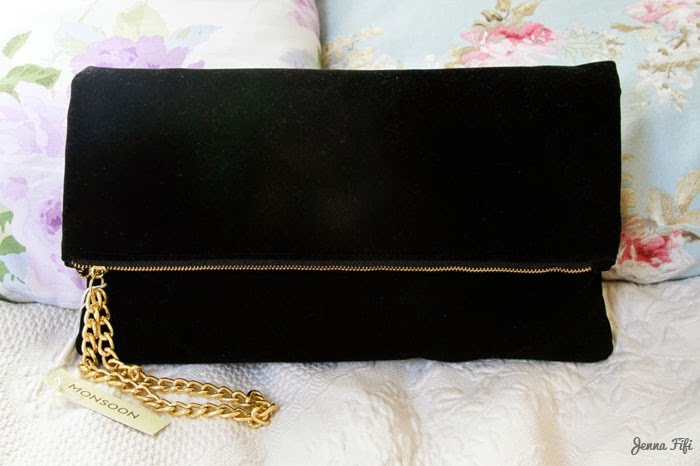 I bought this from Monsoon half price in the sale – it is a real beauty! 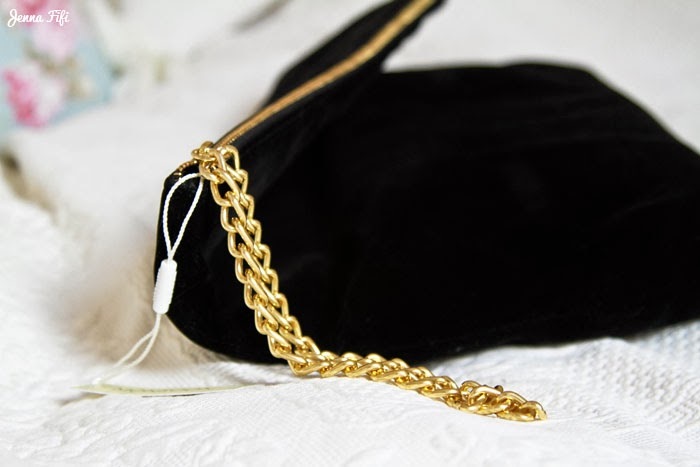 It’s made of sumptuous black velvet and has a short gold chain attached to the zip. 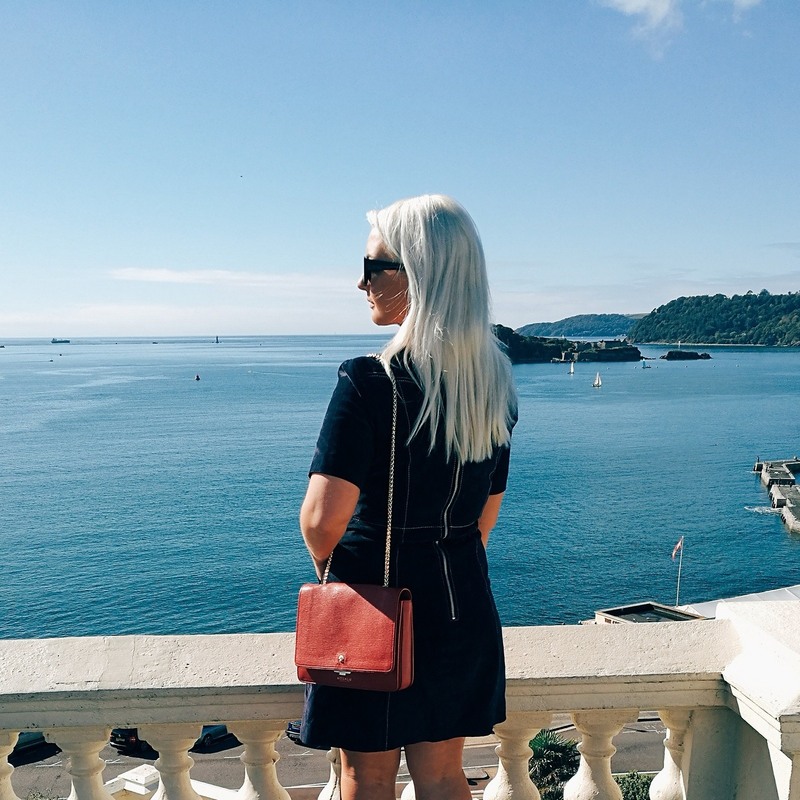 The zip is the only opening so when you unfold it, it becomes a large square making it a very versatile piece. I promised myself I wouldn’t buy anymore killer heels, but when I saw these and I couldn’t resist! I’ve ventured out in London once in these so far and I didn’t break my ankle – success! Love soo much those boots! I love the bag and the boots are killer!